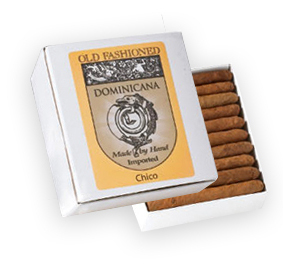 The Old Fashioned cigar brand is produced in the Dominican Republic, as well as in Jamaica. Old Fashioned cigars are made with a flavorful Dominican blend and a select binder grown in the rich San Andrés Tuxtla Valley of Mexico. The Chico Cafe (natural) wrapper is Connecticut Shade grown.